Adventists walk, bike, skate, and even sail to reach both urban and isolated residents. Seventh-day Adventist members deployed across two populous urban centers and many small communities of the northern Brazilian States of Pará, Amapá e Maranhão, in late May 2018. Their goal? To distribute more than 1.7 million copies of the 2018 mission book O Poder da Esperança[The Power of Hope] to homes, non-government organizations (NGOs), public places, and even state prisons. 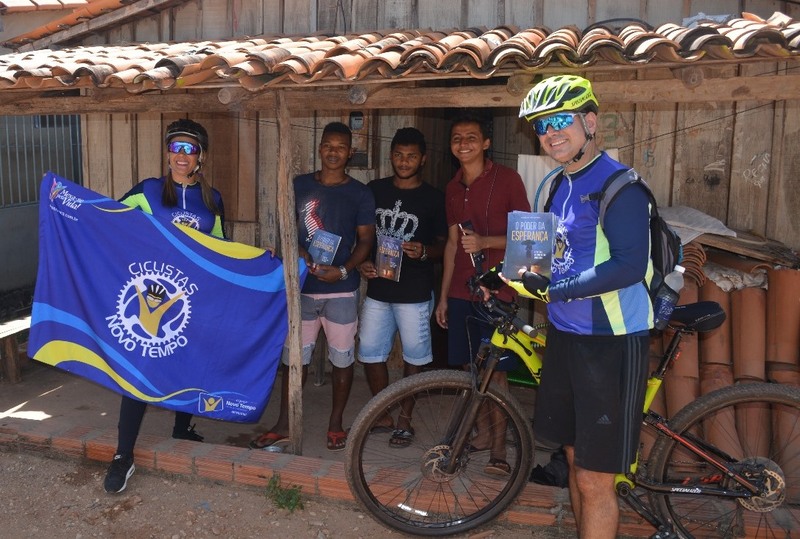 Volunteers traveled not only by car or on foot but also by bike, skates, and ferryboat to reach the homes of both urban residents and people living in isolated communities and islands close to the mouth of the Amazon River. In the Pará State capital city Belém and several other cities, thousands of members walked or skate down major streets to advertise their initiative and talk to passersby. Members’ mobilizations across the region introduced natural remedies information to people and discussed issues related to mental and emotional health. 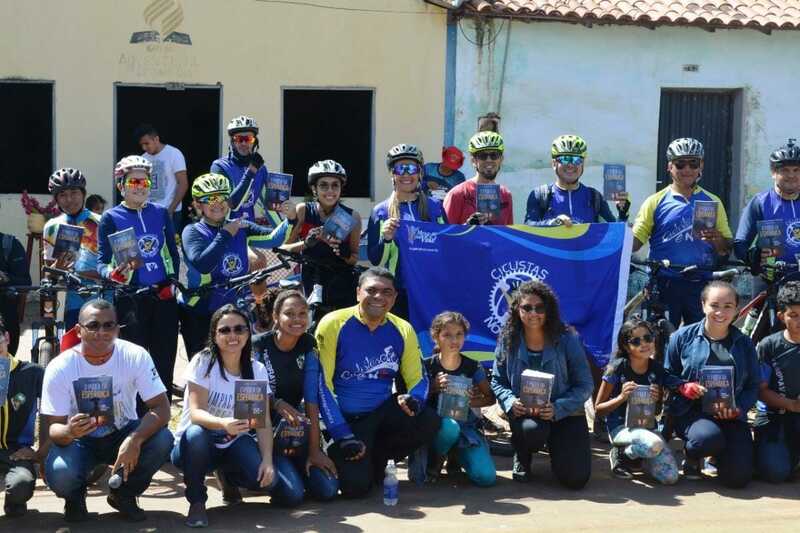 One church in Belém purchased 30,000 books and summoned all its members. After receiving some training, they were sent in small groups to cover major downtown streets and talk to people. Every group used its creativity, as they prepared banners and resorted to various means of transportation to move around. In one of the Belém churches, a young member came up with a novel idea. “Why don’t we rent a “trio elétrico”? he suggested. “Trio elétrico” is a kind of truck or float equipped with a powerful sound system and a stage on top, usually used during the Brazilian Carnival. The church liked the idea. The “church float” included the congregation’s music band on top and other volunteers. As the band played on, volunteers distributed not only the mission book but also fresh fruit and bottled water as the truck slowly drove across the city streets. 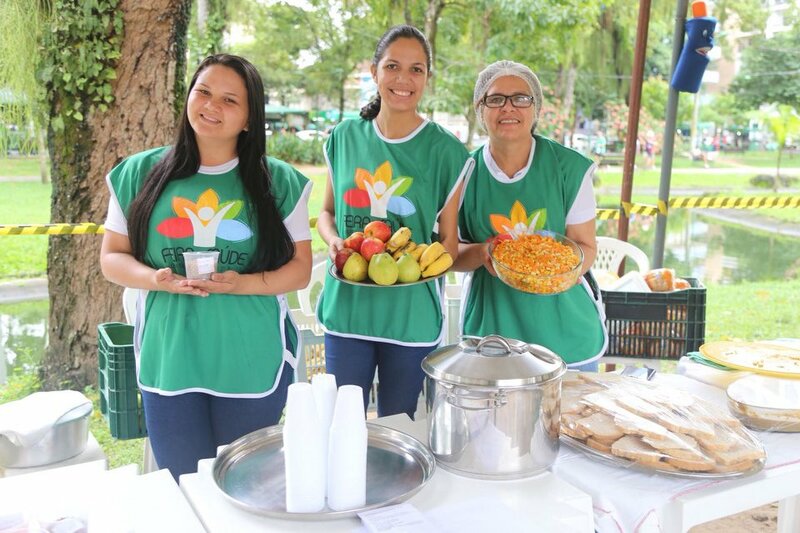 Belém Adventist Hospital supported the Adventist Church’s initiative by putting together a well-attended Health Fair, which offered free dental and medical services, as well as advice on well-being and health topics. Members also made personalized visits to patients at the hospital facilities to share the mission book and pray for them. Adventist Education was also present to support the distribution of the mission book. 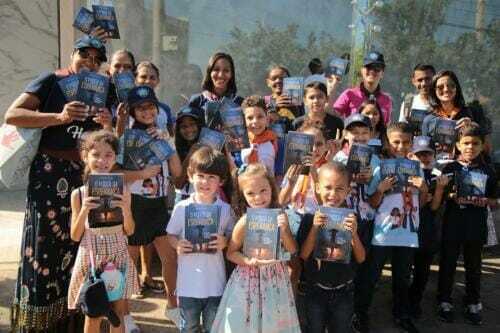 In the city of Imperatriz, in Maranhão State, volunteers came up with an idea that ended up working well: People could get the book in exchange for two pounds of a dry food product. In the city of São Luís, Adventist students reached out to drivers at a busy intersection. Students also visited a local mall, where they set up a tent to talk to people and share the book. In the same city, a group of members visited the regional prison to share hope with inmates. Many copies of the mission book were taken by bicycle to Lagoa Verde, in Maranhão State, on May 27. A group of 20 cyclists covered 25 miles (40 kilometers) to the small town where there is a small Adventist Church with just six active members. Almost 300 books were distributed. 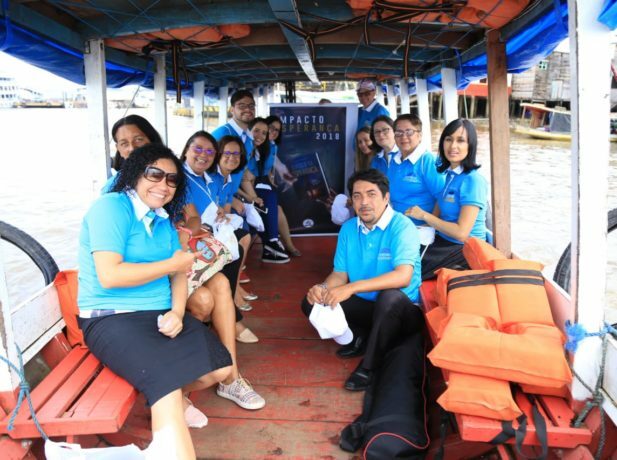 In Amapá State capital city Macapá, a group of women decided they would distribute the mission book across the nearby islands on the Amazon River. Women resorted to any means available to accomplish their task, including boats and ferryboats. Local media outlets provided coverage of the Adventist women’s initiative.